The opening film of the Berlin Film Festival, is an unambiguous celebration of film – Joel and Ethan Coen take on Old Hollywood in their newest all-star comedy, Hail Caesar. 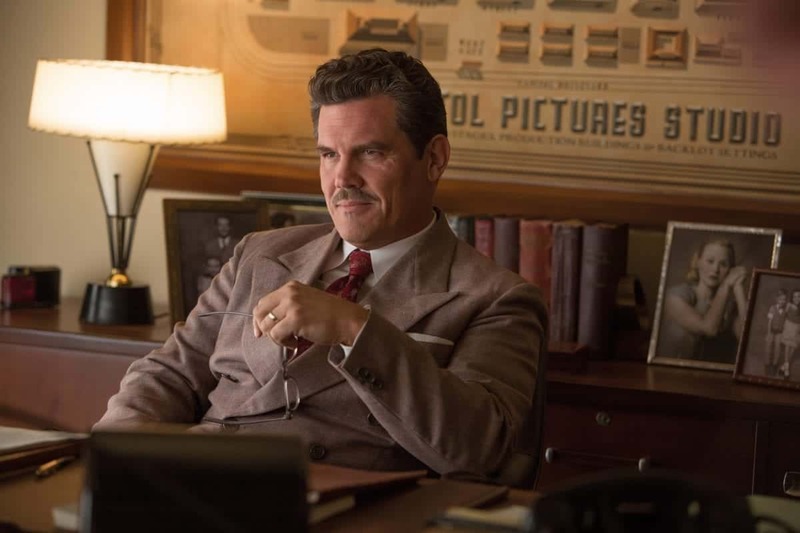 Eddie Mannix (Josh Brolin), a studio “fixer”, runs from one emergency to the next in the chaotic world of the film business in the early 1950s, the later years of Hollywood’s golden age. He gets the stars out of trouble, appeases irate directors, and keeps the producers happy. From pregnancies out of wedlock, to starlets engaging in saucy photography sessions, to a fully-fledged kidnapping – whatever the crisis may be, Mannix is your man, up before sunrise and working late every night. Although on closer inspection, most of the problems he has to deal with end up taking care of themselves. It’s much more about the characters and the films-in-a-film than the plot anyway. George Clooney is the star of the titular “Hail, Caesar!”, a Ben-Hur-esque Roman epic. Likeable, if not overly smart, he is not seen without his Roman attire and effortlessly ambles through the film making friends with everyone – be they other actors or his communist kidnappers. Scarlett Johannson is a celebrated water ballet star, diving into a pool wearing a mermaid costume – wonderfully contrasted by her sweary vulgarity as soon as the word “cut” is shouted by one of the many picture perfect directors. Tilda Swinton chases scandalous stories as two estranged twin sisters, both gossip columnists. Channing Tatum happily jumps up and down tables dressed as a sailor in a song-and-dance number modeled on Gene Kelly/Frank Sinatra musicals, and Ralph Fiennes is a stiff distinguished “quality” director, specialising in parlour-room dramas – but he has to deal with a charming but not too bright Western hero (Alden Ehrenreich) who has been cast as his main character as part of another crisis solving. Generous amounts of time are spent watching scenes of all of these films being made, making a delightful round-up of the predominant genres of the time. Hail Caesar turns away from the dark wit or even pessimism the Coen Brothers have been known for. Instead, it is a happy, lighthearted nostalgia fest celebrating Hollywood, especially its tendency to create and reinforce clichés and manufacture dream worlds rather than tell meaningful stories. Even the stars aren’t the main focus, as there are so many of them, none have enough time to steal the limelight. No, the real star is cinema itself. As a celebration of cinema, it is of course an apt choice for the opening film of a festival. And maybe the curators show their sense of self-irony by having chosen a celebration of this particular strand of cinema, which could not be further removed from today’s usual festival fare of serious, story-driven or experimental films. Here is a place for both, and both deserve to be celebrated. Hail, Caesar! is currently being shown at the Berlin Film Festival and will open in UK cinemas on 4th March.